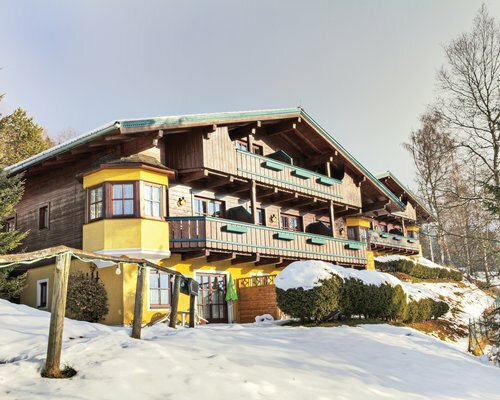 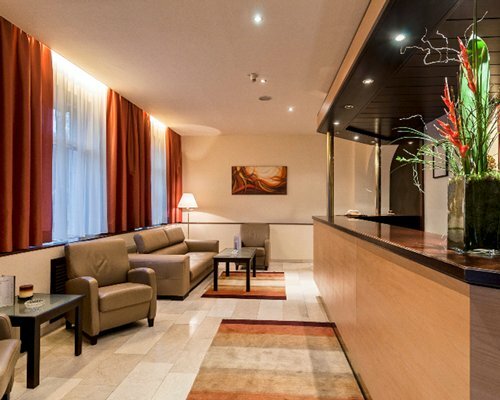 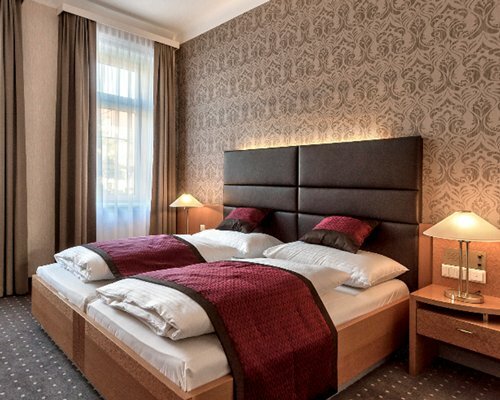 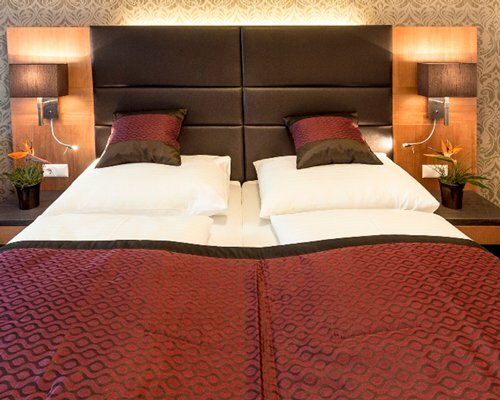 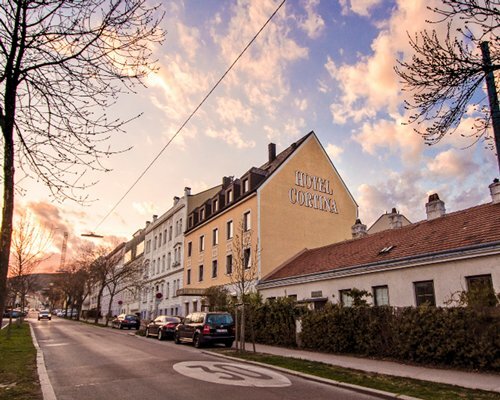 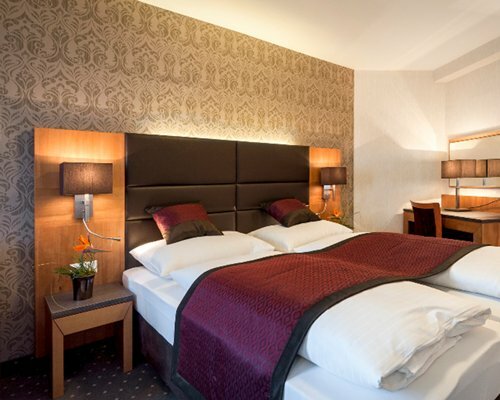 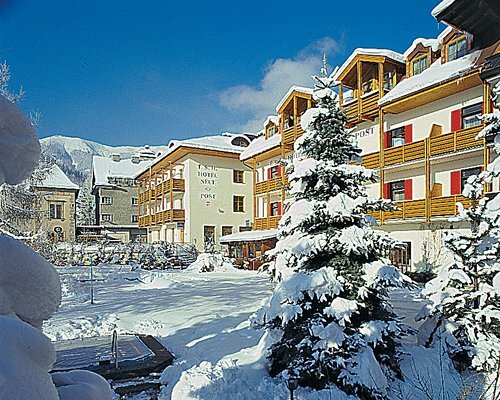 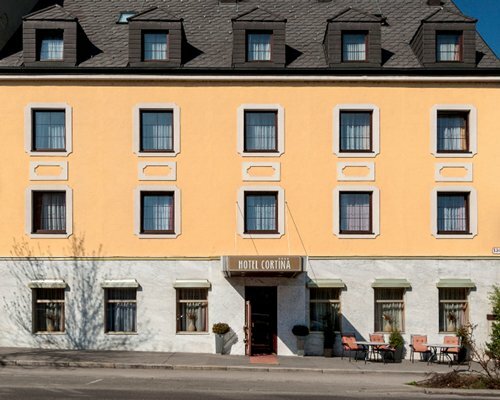 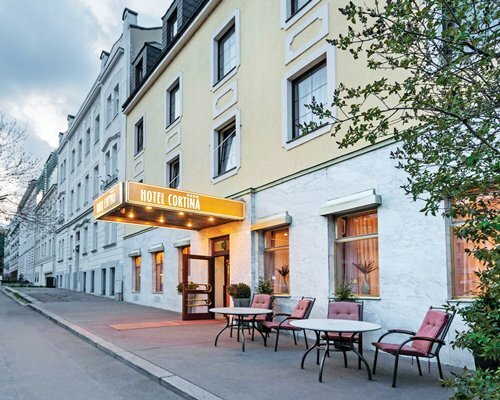 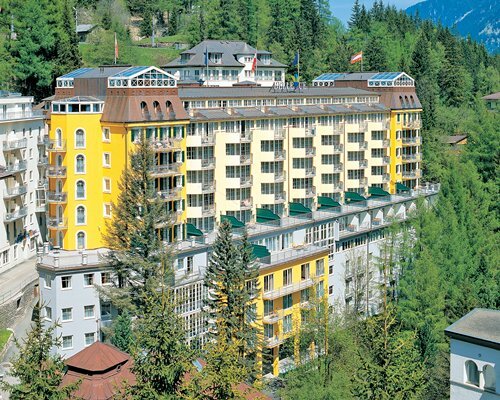 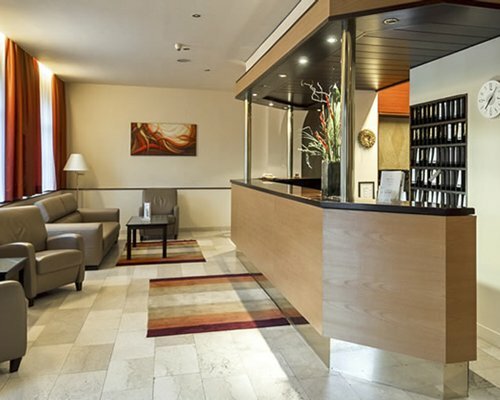 Located in Hietzing, one of Vienna's most elegant and beautiful residential quarters, the Clubhotel Cortina resort is situated in a quiet area, ensuring a relaxing retreat after spending a day exploring the vibrant city. 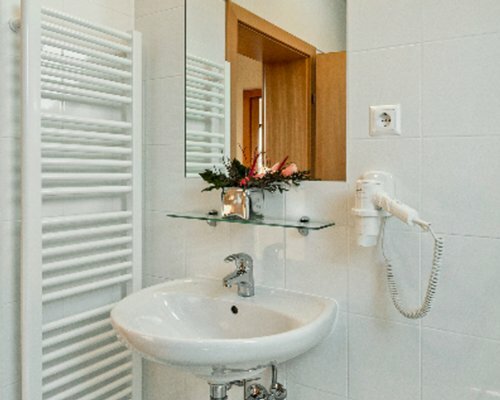 All 47 rooms and apartments on the resort are decorated in a modern style and to a high finish for the most enjoyable stay. 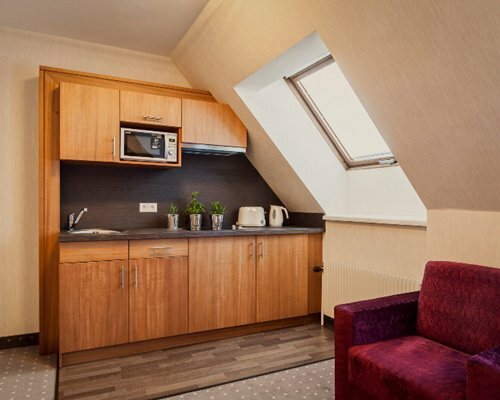 Some rooms come complete with a partial kitchen, and all offer satellite TV. 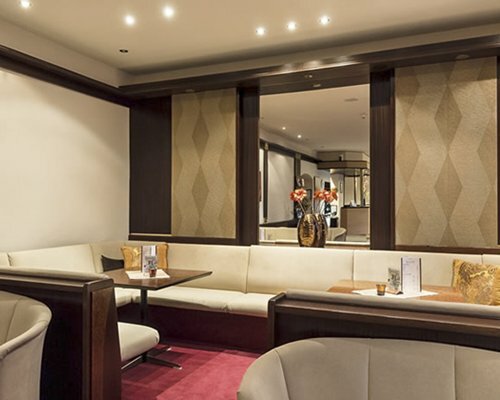 Finish the day enjoying a cocktail or two in the on-site bar. 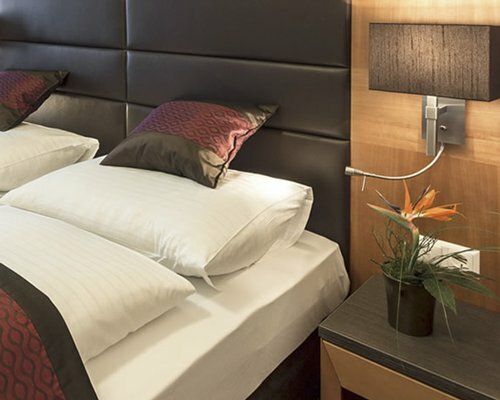 Hotel and Studio Units sleep 2-4, and 1-Bedroom Units sleep 3-4. 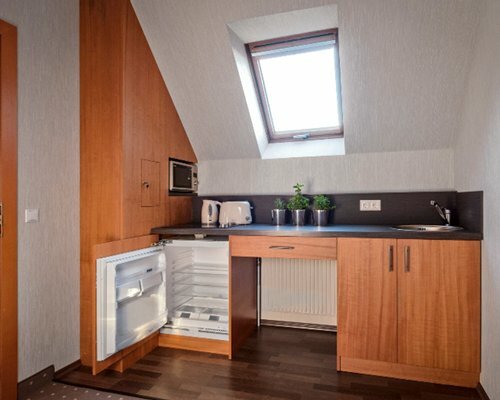 Studios and 1-Bedroom Units have partial kitchens with a stove, sink, microwave, toaster and electronic kettle. 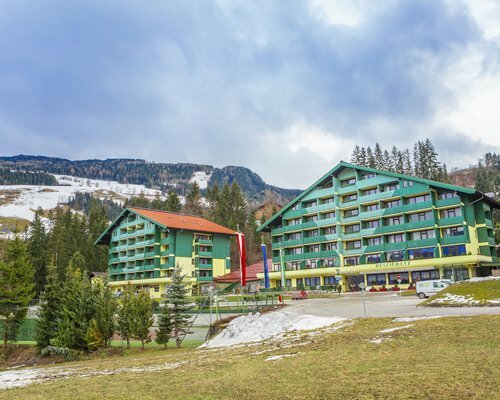 All units have telephone, satellite TV and refrigerator. 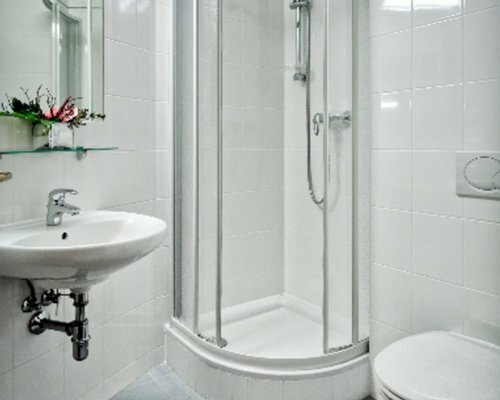 Bathrooms are equipped with a bath tub or a shower and a hair drier. 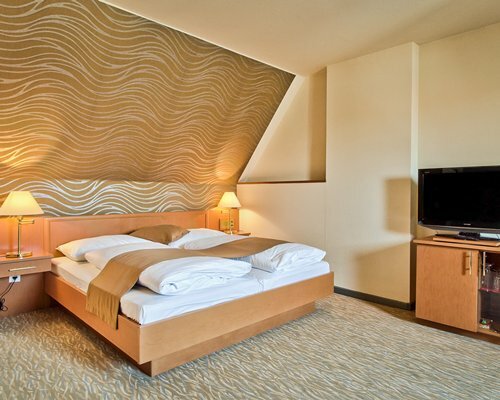 Nearby construction or remodeling may disturb guests from August 1, 2018 to May 31, 2019.